Welcome to Your April Issue. 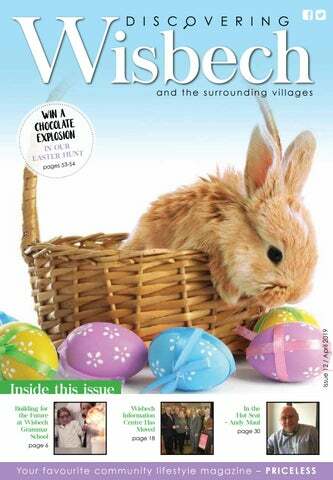 ‘No matter how long the winter, spring is sure to follow.’ Welcome everybody to our April edition of Discovering Wisbech magazine. If you’re anything like me, you’re bound to be excited for springtime - a new start! I can’t wait to hear the birds singing, see the flowers blossoming and finally get some warmer weather here in England. So, as always we try and set you up well for the month with various different things going on in your area, but if I do say so myself, this month we have smashed it out of the park! I hope you enjoy sitting outside in the garden, in the lovely spring sunshine, reading through our fantastic magazine, featuring some of our favourite things about Wisbech and the surrounding areas, including: the Arts on page 4, History on page 34, Events and things to do from page 44 to page 47 and so much more! So much to read, so much to enjoy. Happy Spring everybody and Happy Easter also. as Octavia was a woman who believed passionately in social and environmental concern. I feel strongly about equal opportunities for all. I am sure Octavia, who was a social reformer plus an amazing artist, would have been excited by the work we do.” Whilst Octavia Hill is best known today as one of the founders of the National Trust, it was her work as a social reformer and, in particular in helping to provide sustainable housing for the urban poor, along with her lifelong commitment to preserving and providing open spaces and ensuring access to fresh air, through parks and other facilities, which made her into such a formidable force in her own lifetime. However, one part of her complex, pioneering personality, along with her wide range of skills both practical and intellectual, was her creative ability, and her affinity to art and its transformative power. Subsequent exhibitions by the Collective at Octavia Hill’s Birthplace House will include “Anthropocene”, which will explore ways in which human beings leave their footprint on the environment, and “Breathe”, which is focused on clean air. For further details, please visit: http://www. octaviahill.org. classroom environment for pupils. Secondly, to begin the process of clustering departments into faculties in order to give subjects a clearer sense of identity and to create functional zones around the school campus. which they will ultimately work. The school will be opening its doors to a small group of pupils from China in September 2019. At present, seven pupils are signed up and committed to join. The benefits of these plans to pupils will be an environment which encourages academic success, creativity and wellbeing. As WGS opens its doors to overseas pupils, there will also be further opportunities for all pupils to take advantage of a school that is really ‘building for the future’. Come and visit our School and ﬁnd out what makes us so inspiring; we believe that academic success is not conﬁned to the classroom but can be found on the sports ﬁelds, in the drama studio, through D of E, and in the music rooms. We oﬀer an all-round education that inspires our pupils to ‘discover who they are’. Dentistry with a difference It’s almost a year since the Priestgate Dental Clinic opened, and we’re delighted by the fantastically positive responses we’ve received. Come and experience a different style of dentistry, with a focus on minimally invasive general dentistry and consultant expertise in Orthodontics & Oral Surgery. SCALP MICROPIGMENTATION THE INSTANT, DISCREET, COST EFFECTIVE SOLUTION TO HAIR LOSS AND THINNING HAIR Instant hair loss solutions without the need for hair pieces, toupees, surgery or using expensive and time consuming products every day! Also known as SMP, Scalp Micropigmentation uses specialist needles to implant coloured ink into the scalp, face or body to replicate and replace lost hair follicles. We can correct a receding hairline, disguise crown/pattern baldness, camouflage scars, create a full head of follicles or simply target certain spots. Our specialist has over 10 years experience in the Micropigmentation field and has treated hundreds of happy clients. We offer a free consultation at our March or Ely Salon where we can answer any questions you have and devise your treatment plan. The treatment is non invasive, affordable, discreet and will include a second treatment 2 weeks later. You will leave us feeling confident and looking years younger after your treatment – the secret can be yours! We’d like to introduce you to Linda! Linda has been a member of Rachel’s Leverington Slimming World group since November 2015. Right from the start Linda completely embraced the changes and the flexibility that the Food Optimising plan gave her… With a starting BMI of 47.3, Linda has lost a life-changing 7 stone and now has a BMI of 29! After battling lung and breast cancer along the way too. Linda, who was recently crowned group’s “Greatest Loser” has been on target now for 9 months and continues to attend the group as a valued member of the social team too… an inspiration to the rest of the group and our resident TOP CHEF when it comes to group taster nights too! freestyle session* â&#x20AC;˘ Free Tobogganing sessions* AND LOTS MORE * Pre booking is essential for: Climbing, Tobogganing, Freestyle HAG. Call 01778 381154 to book. Pride of fenland award winners Andy Maul and Vikki Holmes from Bygones Cafe, Little Church Street were this years winners of Best Neighbour on Wednesday 6th March at The Pride of Fenland Awards, after being nominated as a couple who make a real difference to the community. “Sing For Life 2019” – Forty Women Wanted! Launching in May, “Sing for Life” will sign up forty local women with a range of previous singing experience (including none!) to rehearse over ten weeks for a charity concert, supporting Sue Ryder Thorpe Hall Hospice, at the Cresset on Saturday July 20th. The project aims to make singing inclusive and accessible to all women regardless of age, social background or previous experience and, over the years, has introduced hundreds of local women to the joys of singing, while raising many thousands of pounds for this much-loved local charity. Singing has a host of well-documented health and wellbeing benefits; there’s a fantastic social scene, and the chance to meet people you wouldn’t normally meet; and discover music you wouldn’t usually experience. Plus, of course, there’s the charitable side of the project, as well as challenging yourself to try something new! Nilesh Patel, Community Fundraiser at Sue Ryder Thorpe Hall Hospice, says, “The support we receive from the “Sing for Life” project is invaluable and we’re really delighted that, once again, they have chosen to support us in this way. It costs us £9,000 a day to provide care to people in our local community.” This year, for the first time, the project has a corporate sponsor – Hunt & Coombs Solicitors. “We’re really thrilled to be able to support this exciting project,” says Senior Partner, Anna Spriggs. RAF Swing Band Back in Wisbech On March 30th The Royal Air Force College Swing Band returned to the Thomas Clarkson Academy in Wisbech to perform another concert. Whilst there were a few new faces, there were also many familiar faces in the band, including leader Sgt Tom Ringrose, vocalist SAC Philippa Hobbs, and drummer Chief Technician Jim Moss. Rob Scullion, who performed with the band at their first-ever concert in Wisbech in 2010, also returned. As ever, the band remained true to its traditions and maintained their own high standards of music that we have come to enjoy here in Wisbech. Formed in 1989, RAF Swing Wing is a 20-piece big band that features the melodies of a truly golden age in music when “swing” meant more than a piece of playground equipment! Their programme included very popular numbers covering all swing band years; they also included later tunes, bringing the set-list right up to date. This concert gave the audience an opportunity to enjoy some of the best live music in the area. As always, all proceeds from the concert were donated to local RAF charities. If you would like to find out more about the RAF Swing Band and where they will be playing next, please contact Jan or Ray Hutchinson on 01945 584595. With over 20 years experience of making bespoke made window dressings tailored to you. From Pinch Pleat to Eyelet curtains, Roman to Venetian blinds. or tax advice. The value of an investment and the income from it could go down as well as up. The return at the end of the investment period is not guaranteed and you may get back less than you originally invested. The tax treatment of investments depends on individual circumstances and is subject to change. Almary Green and Smith & Pinching are Chartered Financial Planners. 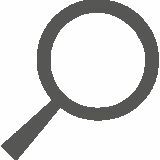 If you would like a no-cost exploratory review to discuss your retirement planning with an adviser from either Almary Green or Smith & Pinching call us today on 01603 789966 or email enquiries@smith-pinching. co.uk. ALL ASPECTS OF PLUMBING AND HEATING – NO JOB TOO SMALL! With over 60 years experience, we know our customers are what keeps us alive. For all deliveries over a certain amount and within a certain radius. Please call to find out more. All our fireplaces are sold with standard manufacturer guarantee, we are always on hand to help! • Removes spills and spots, removes smells and sanitises, deep cleans and lifts carpet pile. •	No need to remove furniture, or leave heating on with windows open until your carpets are dry. • Carpet maintenance programmes. Commercial cleaning? - no problem, just ask for a free demonstration, advice and a quote. Telephone 0800 1804157. “Pride in Fenland” Honours District’s Unsung Heroes Fenland’s unsung heroes were in the spotlight on Wednesday March 6th, as their achievements were recognised at the annual “Pride in Fenland” awards, held at Wisbech St Mary Community Centre. All our food is freshly prepared. Lunch served until 3pm. Outside catering available, pre booking advisable. Looking for a Venue in Wisbech? Then look no further! Try our fantastic selection of beers, milkshakes, spirits & cocktails! IN THE HOT SEAT I am the owner of Bygones Café and a member of Wisbech Town Council, representing Waterlees village. I live with my partner Vikki and between us, we have four children and a grandson - (I am far too young to be a granddad!!) Bygones is its own little community hub and I thoroughly enjoy the relationships I have with all my customers, old or new. I work closely with an amazing team of people in the Wisbech Lions who work tirelessly, raising money for the local community. Through my work on Wisbech Town Council, I have been involved with the building of a fantastic skate park facility on my ward which is a major asset to the whole town, for all ages. I have also recently been working with a group called the “50 Backpacks” where, on a Tuesday evening, we are providing hot food and drinks to the homeless community and those in need. None of what I do is possible without the support of Vikki who endlessly puts up with my crazy ideas. Vikki and I were recently honoured to be presented with an award at the ‘Pride in Fenland Awards’ and this was preceded by an award from our friends at the Wisbech Lions. Elementary state education in Britain was introduced in 1870, and the Bill which established state education made it clear that “industrial prosperity” depended on “the speedy provision of elementary education.” School Boards were set up to build and administer elementary schools where there was insufficient provision made by the voluntary schools. The Walsoken School Board maintained a school, in Kirkgate Street in Old Walsoken, and in 1876 they decided to build a school in New WaIsoken. The land was purchased from Mr Griffiths Ostler for £600, and the contract to build the school was awarded to Mr Henry Rands, who submitted the lowest tender of £3,965. In April 1878, the Board advertised for a certificated Master and Mistress, man and wife, with a joint salary of £130, together with a house and coals. Mr. Harry Davis and his wife Annie Elizabeth from Hackney were appointed. Elizabeth Bowen was appointed Assistant Mistress for Infants at a salary of £20 a year, and Agnes Earby as Monitor at £10 a year. how we can fix it. With years of experience Cloudy2Clear have a wealth of knowledge and are recognised as a Which Trusted Trader, plus our work is backed by an industry leading 25 year guarantee. Cloudy2Clear also replace faulty locks handles and hinges on all windows and doors. Your friendly local Cloudy2Clear specialist is Tim Law and he services Wisbech & surrounding areas. So, if your windows are steamed up, broken or damaged give Tim a call for a free quotation on 0800 61 21 118. 1st - Planning and Community Infrastructure Committee Meeting at 7.30 pm. Council Chamber, 1 North Brink. For more information, please contact the Town Clerk, 01945 461333. Centre. Free workshop. Places must be booked. Please contact 01223 703530 or e-mail cambsals@cambridgeshire.gov.uk. pm. Fun DIY and Craft activities, free refreshments and lunch, CCORRN Pop Up Paint Shop, CCORRN Pop Up Scrapstore and so much more. For more information, please contact admin@ ccorrn.org.uk or call 01354 607667.
us for our brand new Bingo Nights in 2019! Family Bingo is on every second Monday of the month. Doors open 6:30pm, eyes down 7:15pm. Lots of great prizes, a bonus game, and a cash game. There will also be a raffle and a tombola, and even a free children’s game if we have enough kiddies on the night. For more information, please contact tracy@marshlandhall.org.uk. Chamber, 1 North Brink. For more information, please contact the Town Clerk, 01945 461333.
am - 1 pm. Fun DIY and Craft activities, free refreshments and lunch, CCORRN Pop Up Paint Shop, CCORRN Pop Up Scrapstore and so much more. For more information, please contact admin@ccorrn.org.uk or call 01354 607667. 11th - Build a bridge at Wisbech Library. From 2 pm - 4 pm. Bridge Building - Get creative with recyclable materials as you engineer your own bridge. Will your bridge support a toy car? What material will you use for railings? Will your bridge open like Tower Bridge? £1.00 per child. Suitable for 3 years and over. Children must be accompanied by an adult. For more information, please contact jakki.racey@cambridgeshire.gov.uk. 14th - Mayor’s Charity Bingo at Walton Highway Village Club, PE14 7DE. Doors open 6.30pm, eyes down 7.30pm. All are welcome, raising funds for the Mayor’s Charities. For more information, please contact The Mayor’s Secretary on 01945 461333. Council Chamber, 1 North Brink. To be followed by the Planning and Community Infrastructure Committee Meeting at 9 pm. For more information, please contact the Town Clerk, 01945 461333. 16th - Lego and Board Games at Wisbech Library from 2.30 pm - 3.30 pm. Easter Holiday Fun, 50p per child. For more information, please contact jakki.racey@cambridgeshire.gov.uk. 17th - Easter Fun Day at Horsefair Shopping Centre from 10 am. All free fun, competitions, and activities! From 10 am - 2 pm. For more information, please call 01945 584109 (Horsefair Manager). 17th - Waterlees Community Forum at the Oasis Centre from 7 pm. Have you got something to say about Waterlees? Come along and find out what is happening in the area and how you can have an input to its future. For more information, please contact Chris Stevens 01945 461526 (Oasis Centre). 18th - Easter Fun Day at the Rosmini Centre from 1.30 pm - 3.30 pm. First 50 tickets are free! To book, please call 01945 5474422. 19th - QUIZ AT THE INSTITUTE! PE13 1BA. From 7.30 pm. For more information, please call 01945 463440. 20th - We’re Going on a Bear Hunt at Wisbech Library. Celebrate with library staff the 30th anniversary of this wonderful book. Crafts and activities. £2.50 per ticket, suitable for children aged 3 and above. 2 pm - 3 pm. For more information, please contact jakki.racey@cambridgeshire.gov.uk. the G.E.R Club, March. Doors open at 7 pm for a 7.30 pm start. Featuring Dale David, Dark Surrender, Just John and Paul and Anything Goes Disco. Hot food is available and tickets are £5. For more information or to buy tickets, please contact Brian on 10354 654056, Paul on 07703832099 or the G.E.R Club on 01354 652335. Library. From 10 am to 3 pm. All information for this exciting and creative activity will be released soon, so keep an eye on our Facebook page or sign up to receive our newsletter and event information. www.happyinthemoment.com www. facebook.com/happyinthemomentmindfulness. Happy in the Moment 07780628422. 25th - Wisbech Words at The Castle Open Mic from 7 pm. March Community Centre on Tuesdays and Thursdays 7.30-9.30pm. New members welcome. Contact us on contactmadaos@gmail.com or find MADAOS on Facebook. Painting group in Eastrea Village Hall. This painting group has been meeting in the Eastrea Village Hall between 1 pm and 4 pm every Tuesday for five years. The contact for the group is Sue on 01733 205241. WEDNESDAY Three Counties Running Club meet at Leverington Sports and Social Club from 7 pm - 8 pm. Sessions are free for anyone. If you wish for more information, or to join this club, please visit www.threecountiesrc. org or search Three Counties Running Club, on Facebook. Walking group, every Wednesday from 11 am at the Oasis Centre, Wisbech. Free entry. The Wisbech Badminton Babes (WBB), meet at the Hudson Leisure Centre every Wednesday evening from 7-8pm for pay and play. Just turn up. Cost is only £2. No experience is necessary as equipment is provided. Some ladies also attend special coaching sessions, also every Wednesday at the Hudson from 6-7pm. Cost is £2, payable on the court. THURSDAY Walking Netball every Thursday from 9:30 am - 10:30 am at the Hudson Centre, Wisbech, £2 a session. FRIDAY Three Counties Running Club meet at Long Sutton Church at 7 pm. Sessions are free for anyone. If you wish for more information, or to join this club, please visit www.threecountiesrc.org or search Three Counties Running Club, on Facebook. Table Tennis, every Friday from 1 pm - 3 pm at Wisbech Table Tennis Club, £1 a session. Fenland Music Centre Association Orchestras and Ensembles for all ages and abilities. Meets every Friday evening (during school term time), between 6pm and 9pm, at the March Community Centre, 34 Station Road, PE15 8LE. Please see our website for full details: http:// www.fenlandmusiccentre.org.uk. Alove Youth Centre John Thompson Rd, Wisbech PE13 2NF, 01945 461416 Queen Mary Centre Queens Rd, Wisbech PE13 2PE 01945 581444 8 - 16 Fenland Archaeology Wisbech & Fenland museum, Museum Square, Wisbech PE13 1ES 07542 312 692. Wisbech, Kirkgate Church Walsoken. Contact Mrs Jenny Sirett 01945 860589 Monday Senior Citizens Club Meets every other Monday in St Raphael Club, Love Lane,Wisbech, 2-4pm. Contact Mrs Janet Stevens 01945 588231 or Pat Alen 01945 582559 The Kit (Keep in Touch) Club Meets third Wednesday of month in Robert Hall Centre, St Augustines Road, Wisbech, 10am-noon. Contact Miss Penny Duce 01945 881383. Good Companions Meets every other Thursday in Wisbech St Mary Village Hall, 2-4.30pm. Contact Mr B Hayden 01945 410708 or Anthony Norris 01945 410452 Clarkson Singers Octavia Hill’s Birthplace Museum Trust, Tuesday Evenings from 7 pm - 9.30 pm. www.choirsites.co.uk/Clarkson Wisbech and District Historical Vehicle Club 1st Monday of every month at 7.30 pm at Elgood’s Stadium. www. brmmbrmm.com/wisbech Wisbech Stroke Club 2nd & last Friday every month 1.15pm at Wisbech library. 07501 980603 or brian.sandall@virgin.net Wisbech & District Talking Newspaper Looking for volunteers and “listeners” to output three one hour memory sticks each month. Secretary Kim Maclachlan on 07908 258778 or Chair Ann Shippey on 01945 583916. St Augustine’s Day Centre St Augustine’s Parish Centre, St Augustine’s Road, Wisbech, PE13 3AH 01945 585595. Wisbech Mixed Bridge Club Meet every Thursday 6.45pm at WWMCC, 29 Hill Street, Wisbech. No partner necessary. Call 01945 464608 for more details. Check out our Eggs-cellent Easter picks! As Easter approaches, we have plenty to keep the kids entertained. We all have a superhero inside us; it just takes a bit of magic to bring it out. In Billy Batson’s case, by shouting out one word – SHAZAM! This streetwise 14-year-old foster kid can turn into adult superhero Shazam. Come and see Shazam, DC’s answer to Deadpool from April 5th. Join Peppa and George in their brand-new oinktastic adventures as they dance in the mud at a children’s festival, celebrate Grandpa Pig’s birthday at a restaurant for the ﬁrst time, and take a trip to the cinema to see Super Potato’s big movie adventure in Peppa Pig: Festival Of Fun. Hair raising hi-jinks in Missing Link also hits our screens as we follow Mr Link, a slightly silly, surprisingly smart, and soulful beast. He’s possibly the last of his kind and lonely. We follow Link as he teams up with an unlikely duo embarking on a riotous roller coaster ride of a journey to ﬁnd his distant relatives. Peppa Pig: Festival Of Fun and Missing Link are both released on April 5th. Enjoy family-friendly fare with Wonder Park from April 8th, where a child’s imagination comes alive in this charming and fun-fuelled ride, proving that just because you grow up it doesn’t mean you have to lose that special spark of imagination. Everybody’s favourite Dame, Judi Dench, returns to the big screen on April 19th in Red Joan. In the year 2000, Joan Stanley is enjoying retirement in suburbia when her tranquil life is suddenly disrupted when she’s arrested by MI5 and accused of providing intelligence to communist Russia. Cut back to 1938 where Joan is a Cambridge physics student who falls for young communist Leo and through him begins to see the world in a new light. Working at a top-secret nuclear research facility during WWII, Joan is confronted with an impossible question – what price would you pay for peace? Royal Opera House brings us Faust, one of the most popular operas from the 1860s. Showing on April 30th at 6.45pm. Disillusioned with life, the aged philosopher Faust calls upon Satan to help him. The devil Méphistophélès appears and strikes a bargain with the philosopher: he will give him youth and the love of the beautiful Marguerite if Faust will hand over his soul. Faust agrees, and Méphistophélès arranges matters so that Marguerite loses interest in her suitor Siébel and becomes infatuated with Faust. Fancy a mid-week movie treat? Check out our offer! Sign up to our online membership (for free!) and get tickets for just £5 Monday to Friday before noon and all day every Tuesday and Wednesday, any ﬁlm. Plus, get the latest news and offers straight to your inbox. Head over to our website and start saving. For more information and to book tickets visit www.lightcinemas.co.uk Cromwell Road, Wisbech PE14 0RG Please note that ﬁlms are subject to change and not guaranteed to show in all cinemas. The Momo Challenge - Valuable Advice for Parents - Advice from Diamond Byte Solutions Although the recent Momo Challenge is now being reported as a hoax, the reports, warnings and disturbing images have caused distress to children and parents alike. Hoax or not, it has nonetheless highlighted the power of the internet, particularly social media, and how it is more important than ever that parents talk regularly to their children about their online activities and how they can help them to stay safe but still have fun. Remember that the hype around these crazes, true or not, often leads children to investigate for themselves. What can parents do? Let your children know that, just like the real world, there are safe and unsafe things on the internet. Explain that there are often things that happen online that can be misleading or frightening and that some things are designed to get a lot of attention. • Talk about what personal information they should share online, even with friends. Advise them to create different passwords for different sites. • Try to avoid having your children use the computer or device whilst hidden away. It is best to install a computer in a family room with the screen facing outwards. • Do read website and app ratings before allowing your children to visit or download them. Why not explore popular sites and apps together? • Let your children know that it is absolutely the right thing to do to tell you, a teacher or another adult they trust, if they are not happy about something they’ve seen or been asked to do online. • Ask your children not to download files (music, games, screensavers) or buy or install software or apps without asking. Turning off in-app purchasing capabilities on all devices should help. • Install parental control software to restrict the sites your children can access and limit them from sharing sensitive information, such as name, age, address, phone number etc. Should your children accidentally access an unsuitable website, delete it from the ‘history’ folder and add the address to the Parental Control Filter List. • Use the built-in security and safety features within your browser. Set high security and privacy settings for social networking sites, such as Facebook. Switch off or adjust settings using GPS or location tracking - many apps and social networking sites use software to locate where the user is.